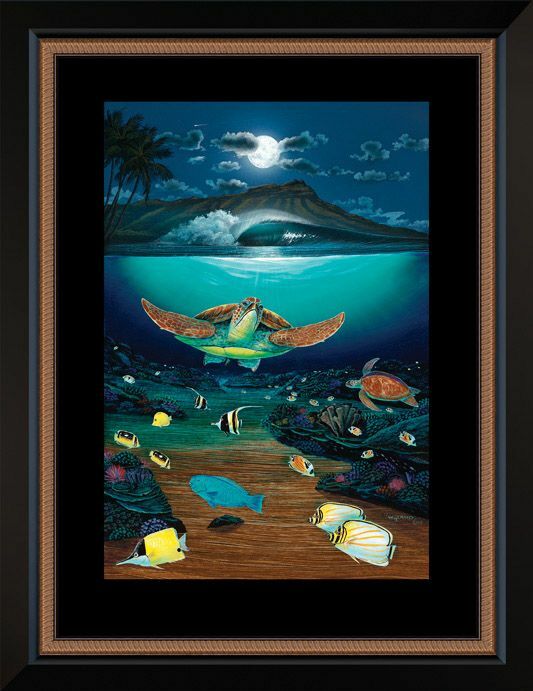 Happy Easter Wyland and to your family. Happy Easter to you, Sir! Your creations are beautiful! Happy Easter. Great seeing you in St Petersburg. Hey Wyland, happy Easter from your mate in Oz!! Miss your crazy! Happy Easter to you Wyland! How adorable! ❤️God Bless❤️ Many blessings to you! Happy Easter ! Cute picture. Wishing you a relaxing Easter with family and friends. God Bless! I see one cute kid, and one kid at heart 💜 Wishing you a great show! I have one of you painting with my "grand" son Benji from a few years ago at this festival. He LOVES art!! 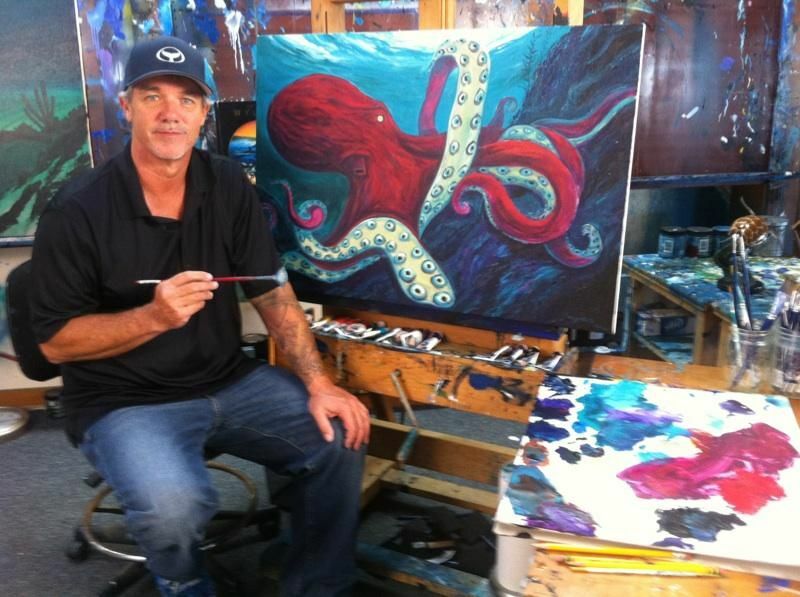 Steven Power has become one of the most popular collaborators with Wyland. 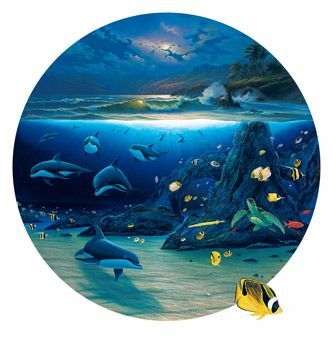 Known for his ultra realistic tropical island settings, Power provides the ultimate topside companion to Wyland's vibrant undersea renderings, particularly in this moonlit above and below painting. 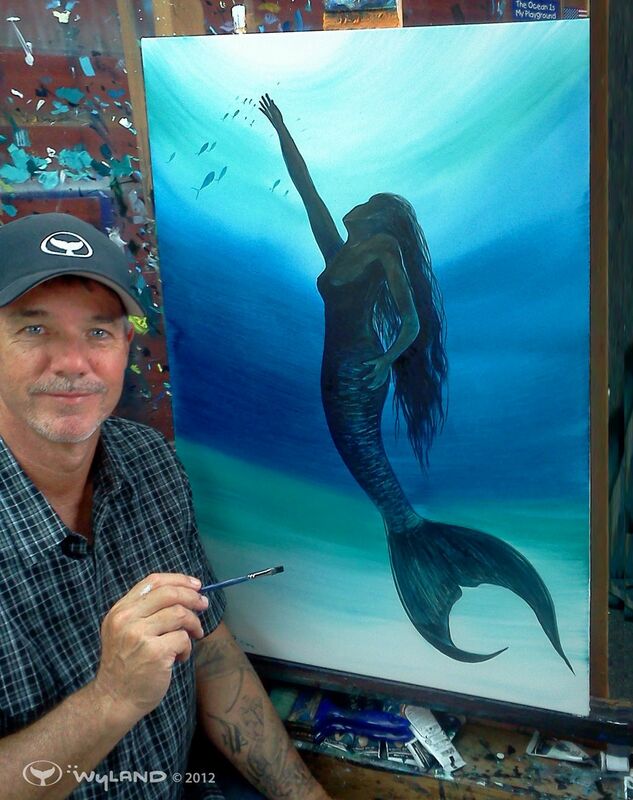 "Steven Power combines the romance and mystery of a moonlit evening near Honolulu's Diamond Head, " Wyland says. 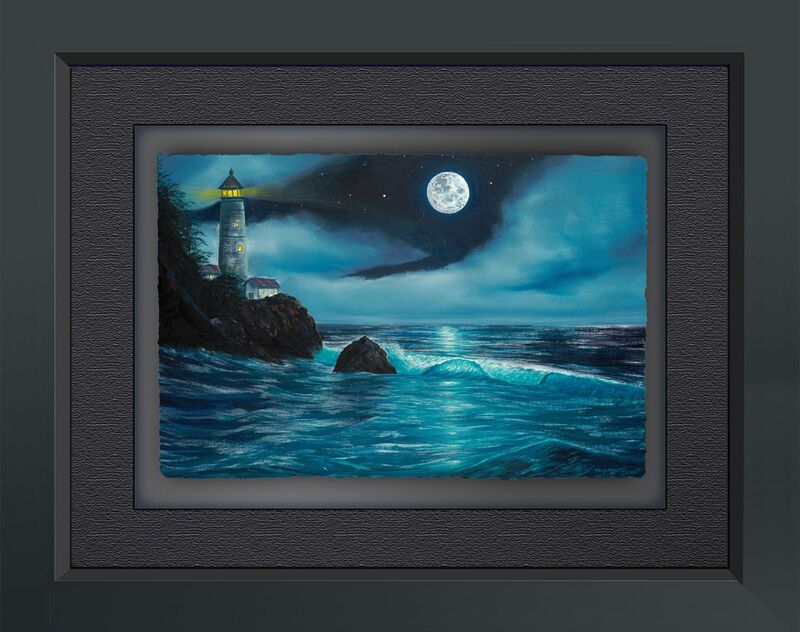 "His moon casts a brilliant light on the sea life below. Did you change the schedule? It said Port Canaveral on Friday, we planned our vacation around the schedule and are leaving Key West in the morning so we could make the show at Port Canaveral?? Wow I love this one! Really love the look of the top of the water from below it- amazing, plus the light reflecting in! Brilliant 🙏🏼💕☺️👏🏻. We are so lucky to have you and thanks so much for always sharing your work for all of us to enjoy out here in cyber world! 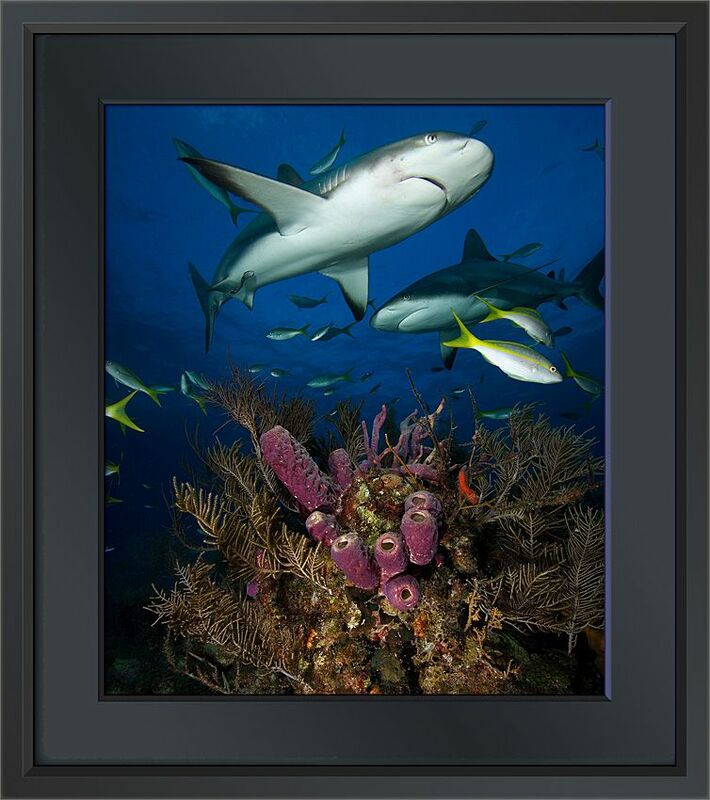 Also - are you by chance going to Coralpalooza (with CRF, in key largo and Islamorada in June)....hope to meet you one of these days!!!! Another amazing masterpiece! The colors are just perfect ! Beautiful detail. Colors are perfect. Like a photograph. Amazing! ... 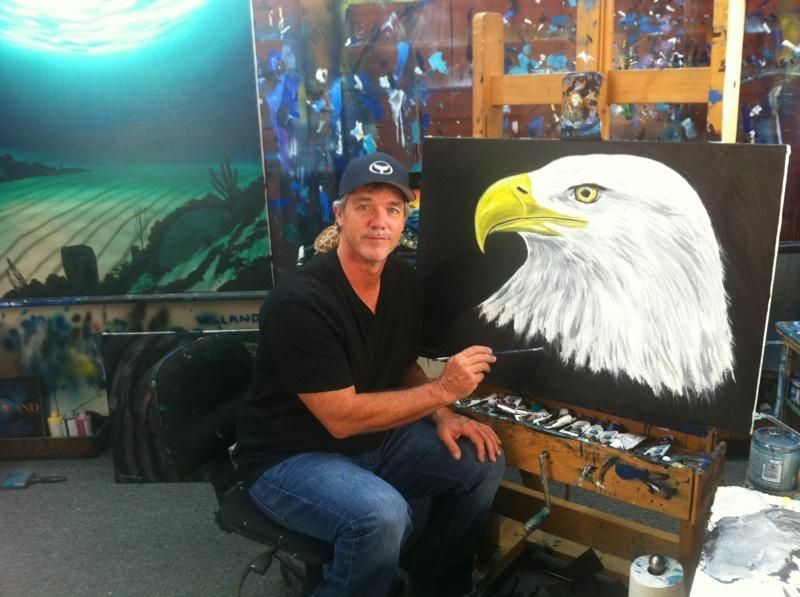 I admired your work in high school and still do.You are an inspiration, Wyland! I LOVE this one!!!!! The colors are beautiful!! Sweet ! 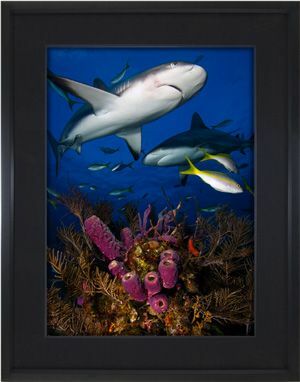 Love your paintings they are so relaxing is it as relaxing for u to dream and paint the underwater world and its glorious beings ...amazing simply stunning !!!! 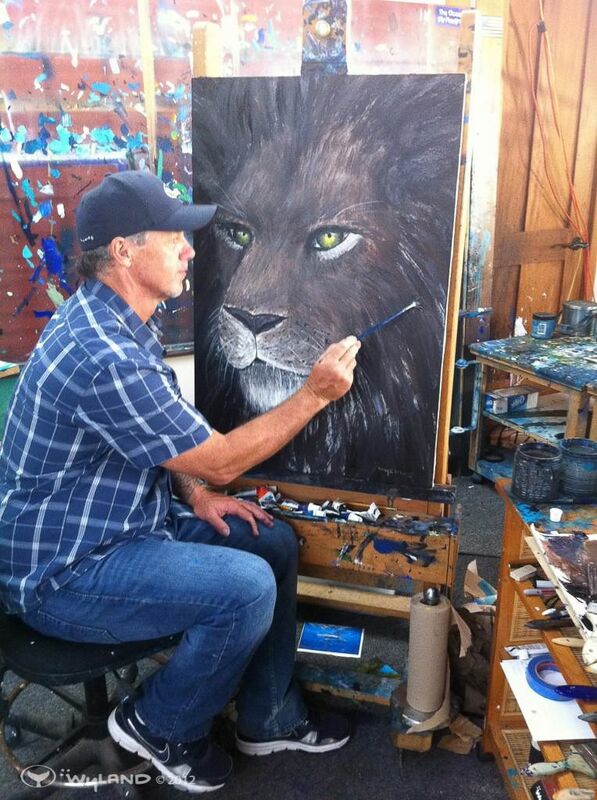 I watch the episodes of Wylands Art studio all the time. 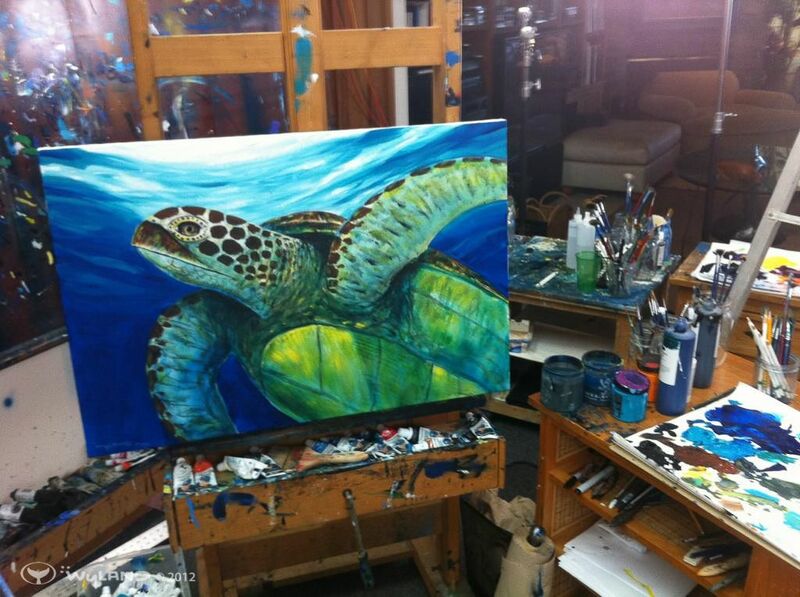 I'm curious though how many hours dis it take for you to complete this wonderful piece with the swordfish! Awesome !!! Love your work dude !!! 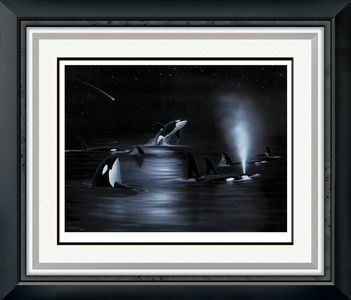 John and I really like this one Wyland, thanks for sharing! Beautiful! It was great seeing you in KW!! Wish I could be there.Have great shows! This is outstanding... the water bright and transparent...you can feel the movement of the swordfish.. one of my favorites!! 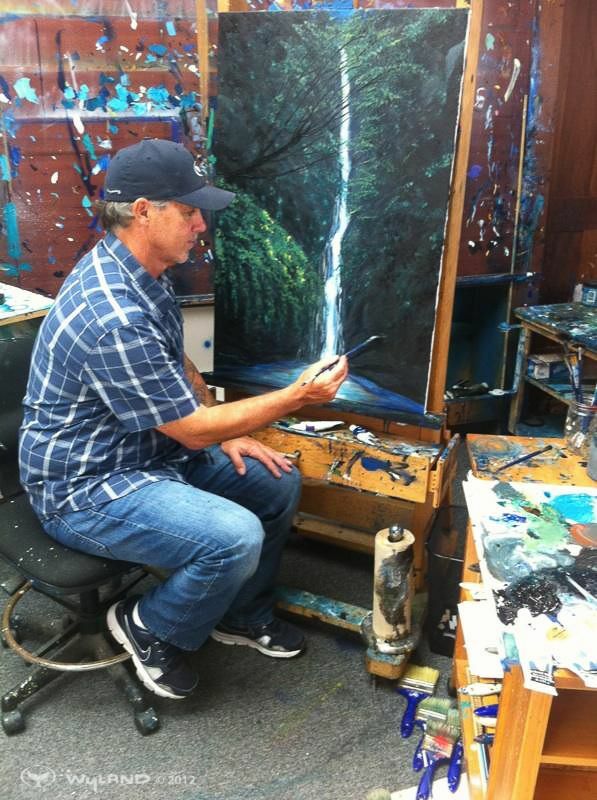 That would be amazing watching you paint. Amazing work! Can you please come to the Big Island?? That’s a great day on the water! As an art teacher, I love to see an artist working with students!!!! 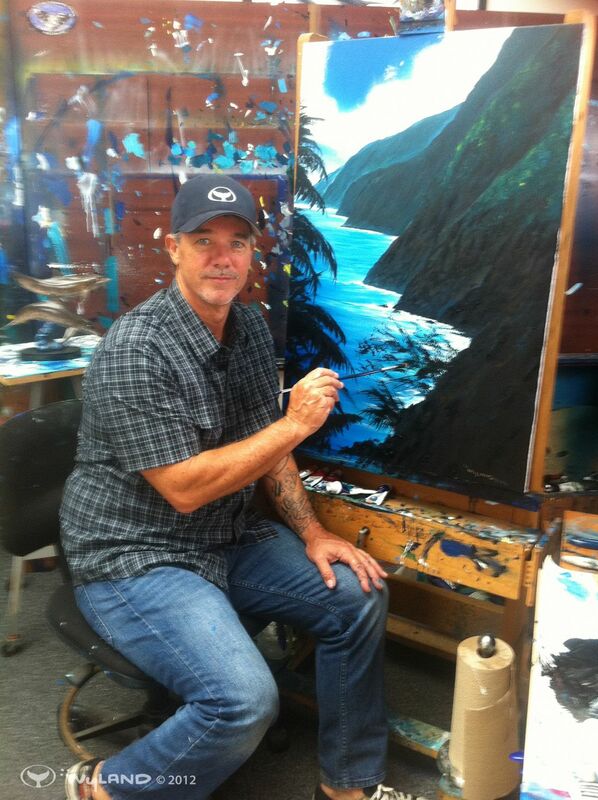 Can’t wait to see the finished painting! Love your work! 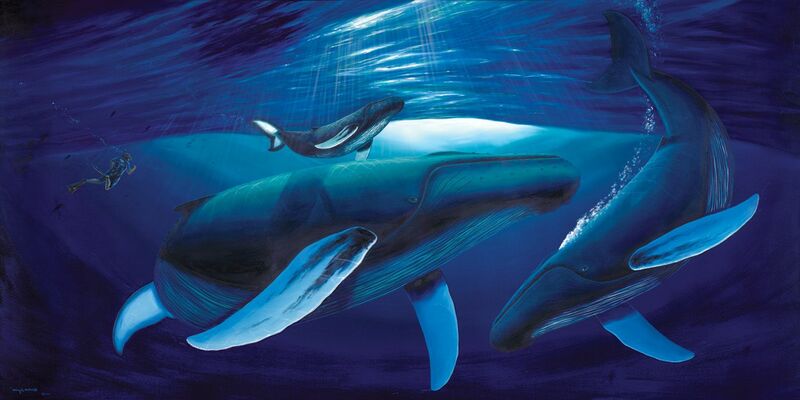 Wyland is awesome with kids! 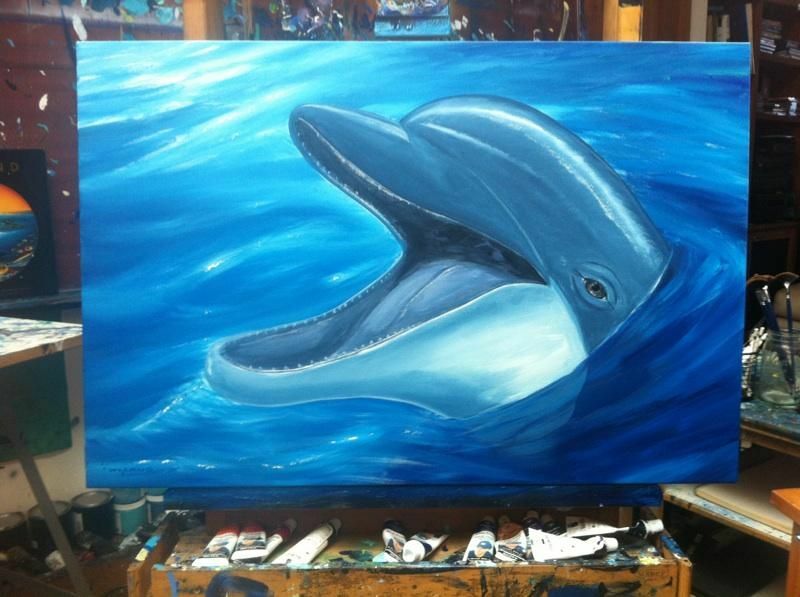 Hi Wyland!! Hope to see you and Sheila in St. Pete next week. The one in Waikikia is gone. Can we get you to come to the Clearwater Aquarium where Winter the dolphin lives? So cool that the kids get to participate!! 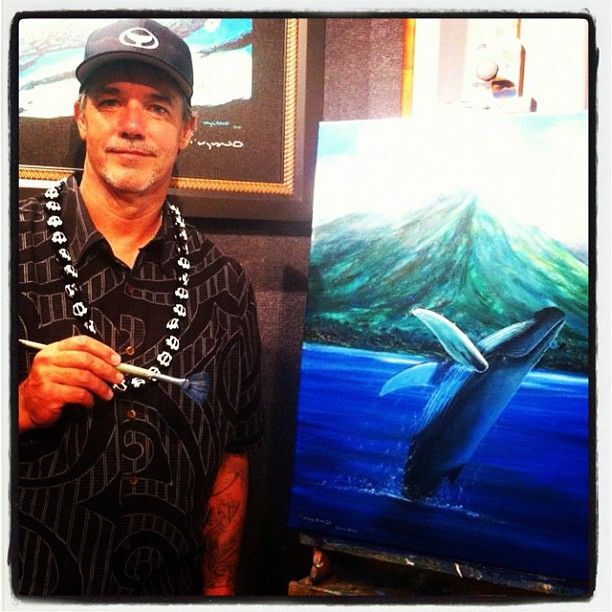 Saw Wyland paint two murals...on in Norfolk and one in Hawaii. Both are sadly gone. 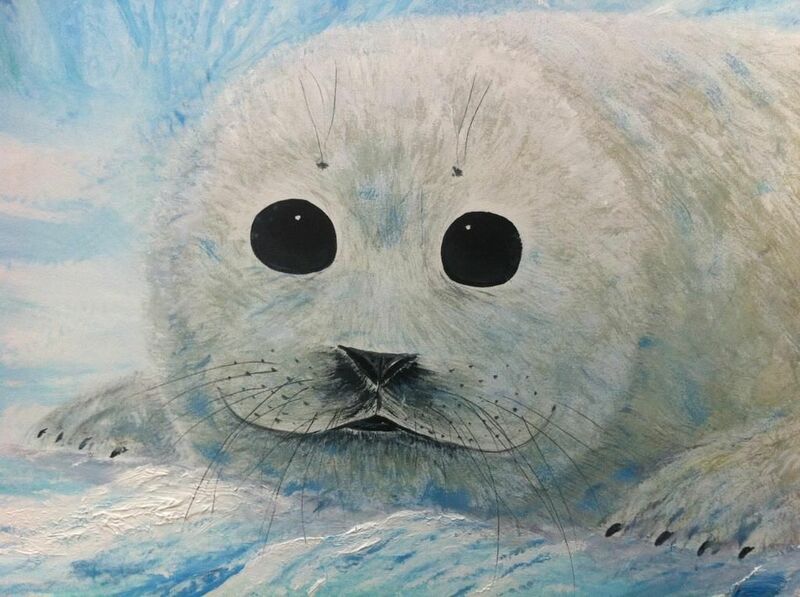 Robert Wyland will you come to Haskell Elementary School in New Jersey and Paint with my Art students? They love your work!!!!! This is how i remember you most fondly. Thank you all for your involvement in such important work. I grew up taking field trips to Mote, the old one on Turtle Beach. Was sad to see it fall into the Gulf. Beautiful new facility. 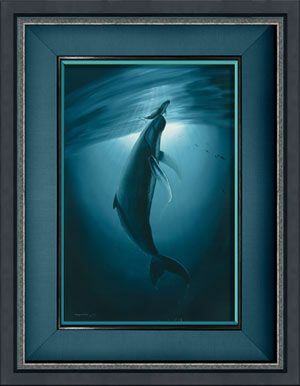 Wyland I have followed you for years,before you became so well known. I remember telling people about you. These kids are such an inspiration. Oceanfest time bring the kiddies! 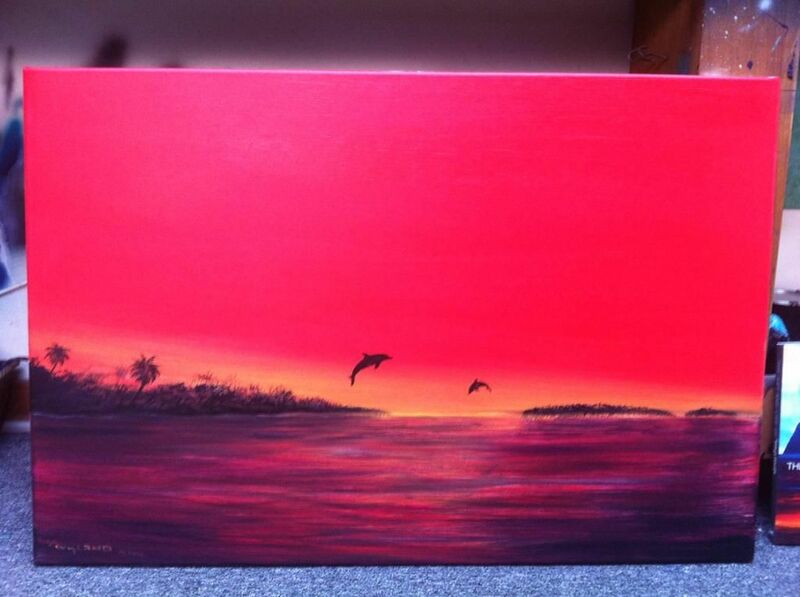 Wyland, see you in St. Pete again. I’ll check it out live!!! Are you coming back to HHI in the Fall? I’m hoping to catch you live one of these years on our annual girls trip! Wish I could be there, enjoy and have a blast ! I would just love to be there!!! Hopefully you will do a show in the Carolinas one day! Now! This is different. I love it. Take the pledge to save water at www.mywaterpledge.com!